Fresh off the hype of the Revenge of the Dreamers III sessions, J. Cole released his new single "Middle Child" earlier this week, but according to producer T-Minus, the record was made in an entirely different session. 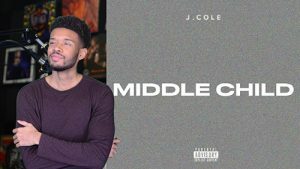 Cole has admitted it himself: "Middle Child" is one-off opportunity born out of utter spontaneity. He and producer T-Minus crafted the song in a single tireless recording session. After T-Minus had procured the sample and chopped it up, the onus was on J. Cole to conjure up enough inspo to match the triumvirate horns. Within a day, "Middle Child" was complete - they possessed a monumental record with no assigned purpose but to upend the established order of hip-hop Today.